5 ways Qlik helped an SMB turn into a $100 million company. Things were definitely different ten years ago. The first iPhone hadn’t even been released. Facebook was barely two years old; Twitter, just in its infancy. Meanwhile, at Modernize, our company’s origin was just beginning. Founder and CEO Jason Polka, taking his cue from door-to-door salesmen, would walk around neighborhoods looking for homes that could use a fresh coat of paint. After speaking with the homeowners, he would fax their information—yes, we were all using fax machines then—to reputable contractors in town. 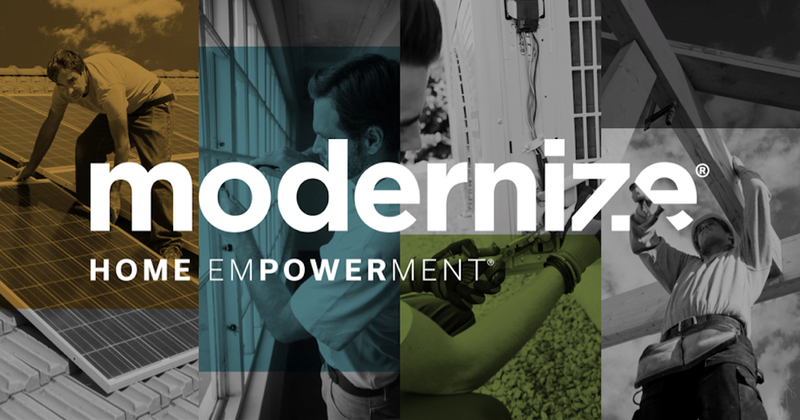 Fast forward ten years and Modernize.com has grown into one of the largest home improvement lead generation companies in the United States. Digital marketing has taken the place of walking door-to-door, and the faxes have been replaced by Qlik-powered computers. Cutting edge technology has allowed us to become the starting point for approximately seven percent of all residential solar installations, which may make an indelible mark on the face of home efficiency and energy use for years to come. My, how things have changed! How did an #SMB like @Modernize use #Qlik to turn itself into a $100 million company? Modernize’s financial details aren’t kept under lock and key, they’re on view for everyone in the company to see, displayed on several large monitors throughout the office. That way, employees can review up-to-the-minute growth analytics while they go for a second cup of coffee. Qlik helps us make sense of market trends at a glance so we can focus our efforts where they’ll be most useful to the homeowners and contractors we help. We can even switch up our strategies by location to match regional interests, which perfectly suits our business model. It also gives our account managers insight into our competitors’ methodologies, so we’re able to see what they’re thinking, and respond quicker than ever. At Modernize, we favor inbound marketing tactics that make our overall approach less intrusive, and Qlik’s tools helped our email marketing team build a data warehouse to store analytics and information about the recipients on our mailing lists. Now our emails land more precisely, and ultimately create more revenue for the business. Clients don’t always want static presentations and graphics prepared ahead of time—they want to you to speak to all aspects of their work right there, in the middle of the meeting. Qlik allows our salespeople to create reports and analyze data mid-demo, so they’re able to create a collaborative solution tailor-made to the client. Having that information backed by live data makes it all the more credible, giving our customers peace of mind. We’d be nowhere without the homeowners and contractors we serve every day. With our Qlik integration, we empower those customers to make informed decisions. Insight into the pains our clients feel helps us troubleshoot their concerns and set more accurate expectations for what they can expect from our solutions. Qlik gives us the digital lens we need to see our leads’ real needs and wants clearly, without any distortion from the web. We’re able to treat each client as an individual with their own unique situation—because to us, that’s what home improvement is all about. Today’s SMB spotlight features a guest post written by Ben Panzarino, a data-focused Affiliate Marketing Manager at Modernize. I’d love to tell you how Qlik helped turn Modernize into a $100 million company, but it’s probably better to hear it straight from them!